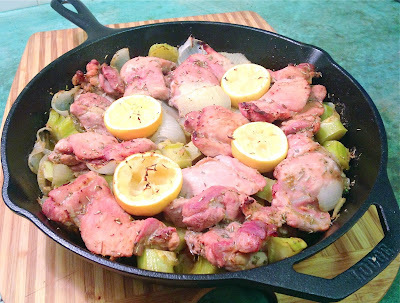 I have seen plenty of people post cast iron chicken recipes using potatoes. Although I do eat potatoes in moderation, especially on very active days...I had a different idea for this skillet. (It makes it 21dsd approved too!) Whenever I buy broccoli I try to find the ones with the healthiest, longest "legs" :) I love the way they taste sautéed with some coconut aminos, steamed and topped with ghee, or added into a breakfast omelette! For this recipe... you will be using just the "legs" of the broccoli and you can save the bushy tops for another dish! You will see that these parts of the stalk of broccoli will soak up LOTS of flavor and take on a "potato-ish" type consistency! In a food processor, add the juice of both lemons (save the halves for later! ), EVOO, rosemary, cayenne, salt and garlic. Pulse until smooth. Add to a bowl with the chicken thighs and make sure to coat each piece. 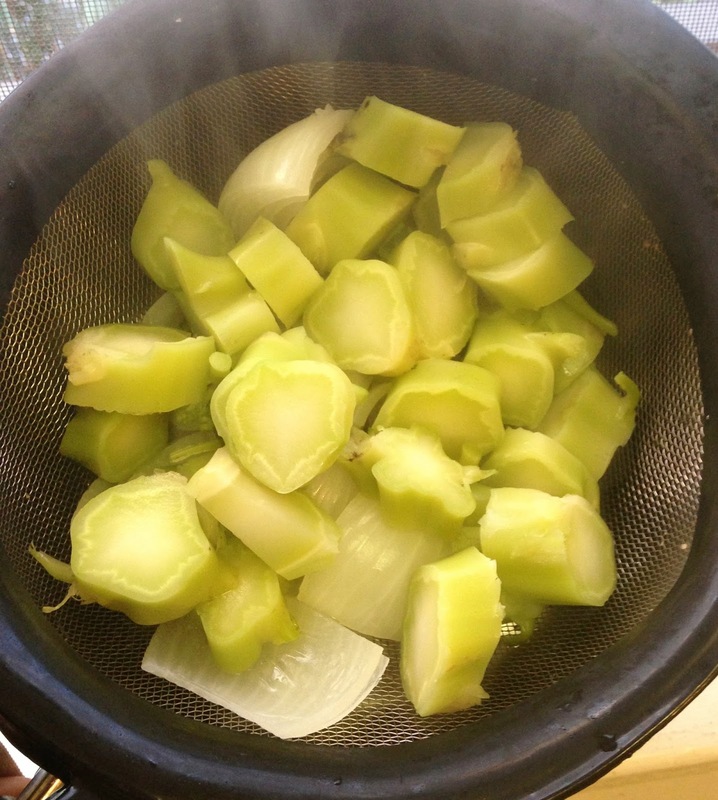 Chop the onion into 1" size chunks and Cut the broccoli stalks into slices 1/2"-1" thick. Make sure to omit the bottom 1/2" of the stalk as it tends to be a bit tough on the outside. Add to a boiling pot of water and cook until just soft (about 5 minutes). Drain and set aside. Heat up a 12" cast iron skillet to high and add your fat of choice ( I used 1T rendered duck fat). Sear the chicken on both sides (if your chicken thighs have skin, this is where you will want to crisp it up!). Once the chicken is seared on both sides (but not cooked through) turn off the heat. Add the veggies and dump the remaining sauce from the chicken bowl over the skillet. 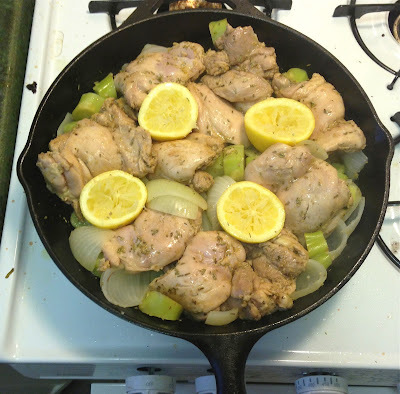 Place the 4 lemon halves face up throughout the skillet (push them down so they are surrounded by meat and veggies). 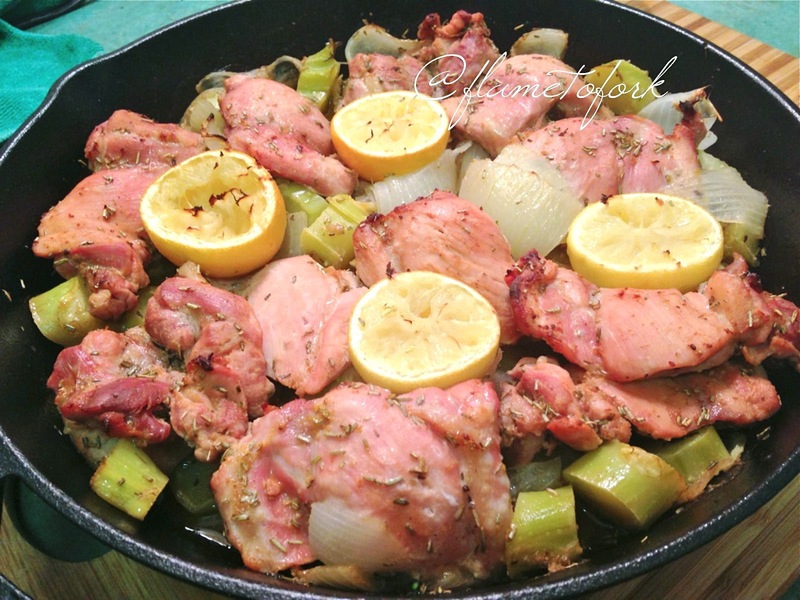 Finish in the oven for 20-25 minutes! Be very careful when taking the cast iron skillet out since it will be heavy and VERY hot! 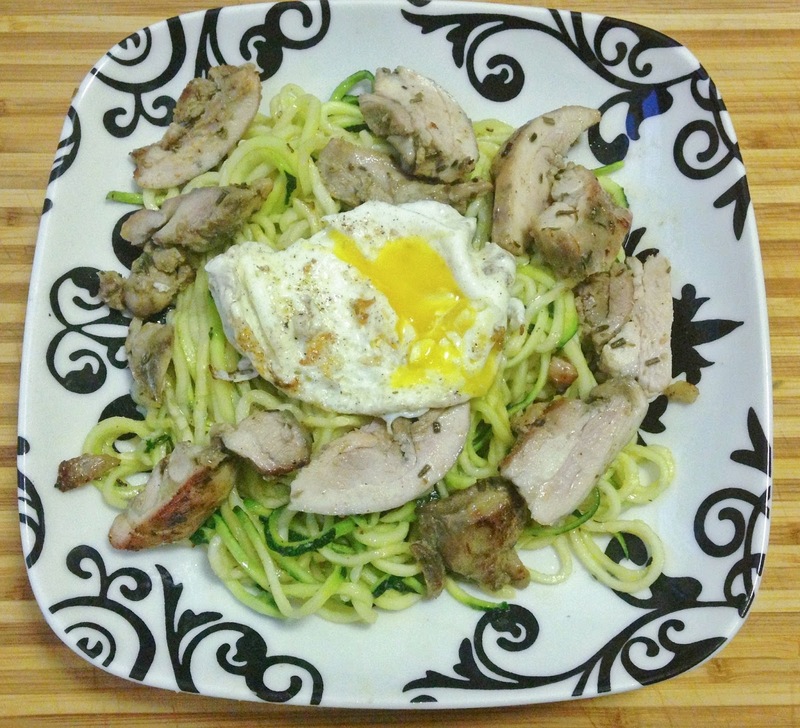 Don't be afraid to recycle this meal in leftovers throughout the week! See what I did with my leftovers in these photos! This is a remixed version of the chicken thighs chopped, re-heated on the stovetop in the skillet, added to zucchini noodles and topped with a fried egg. 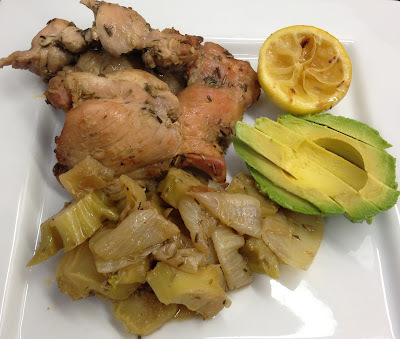 This was a simple lunch that I ate cold (yes, I LOVE cold leftovers!) with 1/2 an avocado!